These may be purchased from Dovetail Games or Steam. 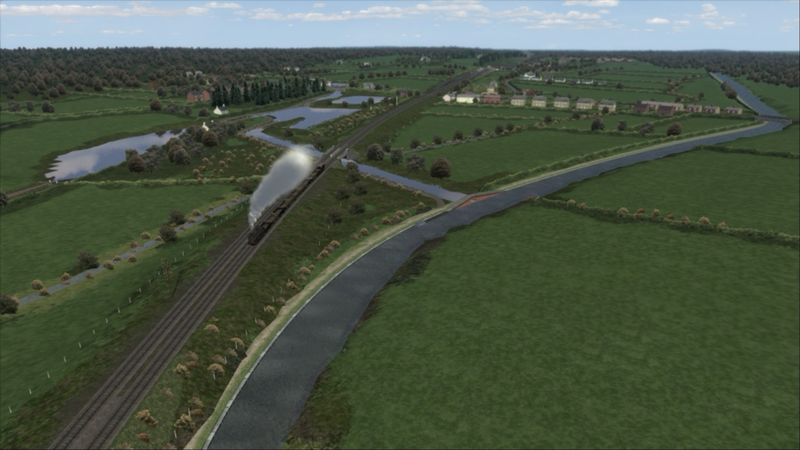 This release extends the main line beyond Banbury northwards via Leamington Spa to Hatton Junction where it branches to Lapworth and Stratford on Avon. High Wycombe to Lapworth is 71 miles. to Towcester, crossed the GWR a mile to the south. 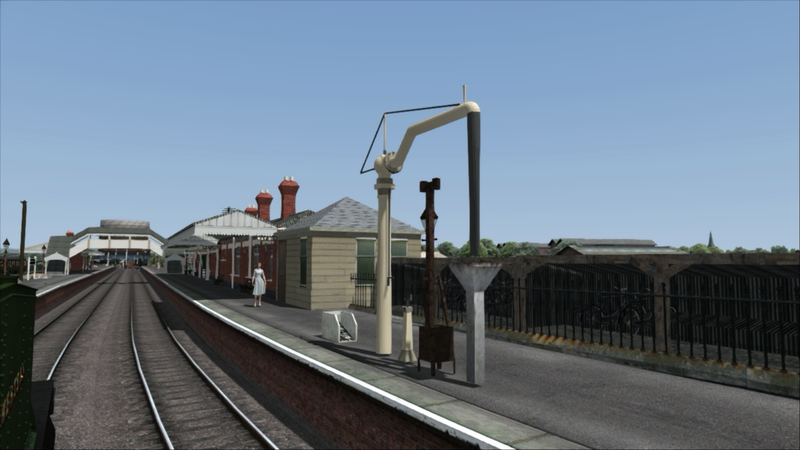 A direct connection was later added to allow ironstone trains from Banbury, for South Wales, to use this line to Stratford rather than via Hatton. It was completed shortly before the quarries closed. 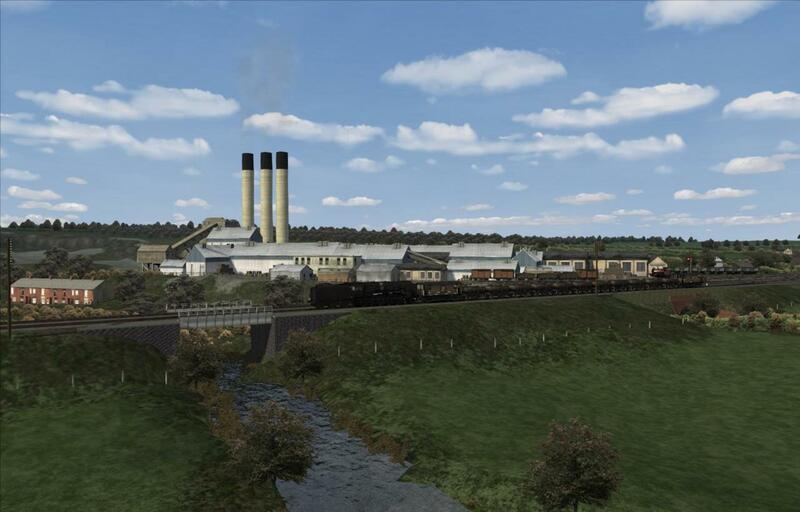 The cement works served by Greaves Sidings received limestone from quarries beside the line at Ardley to the south. 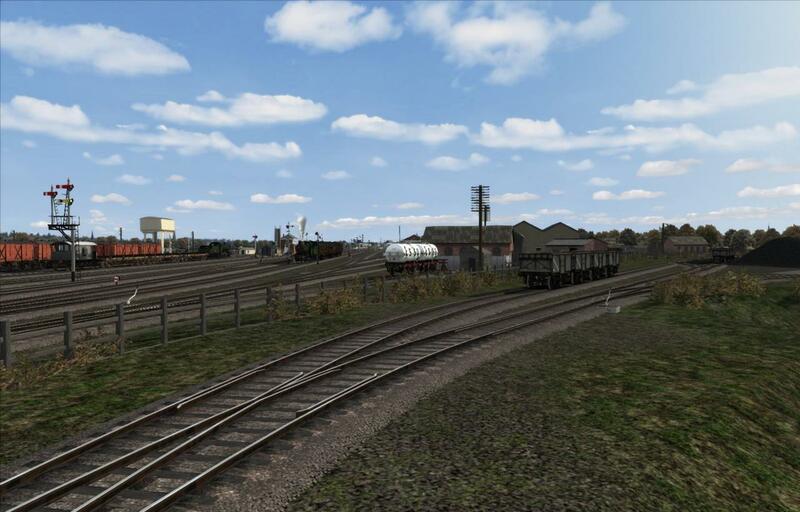 Leamington Shed and carriage sidings was at the south-eastern edge of the town. 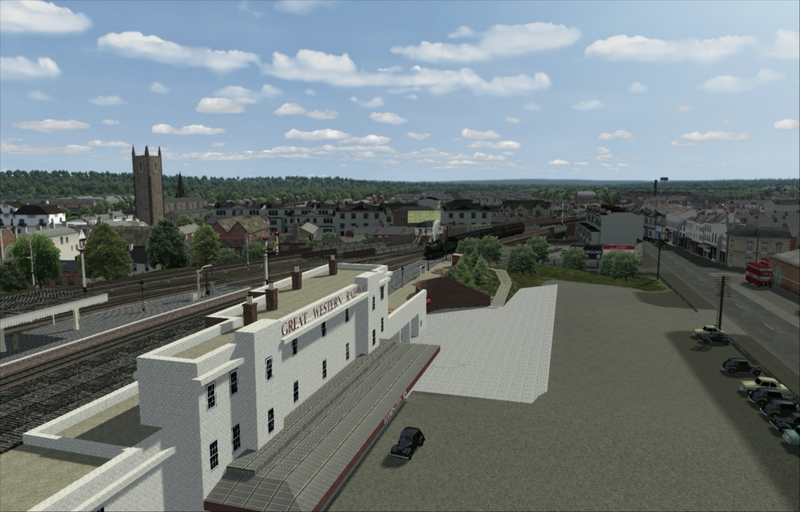 LMS and GWR stations at Leamington Spa. 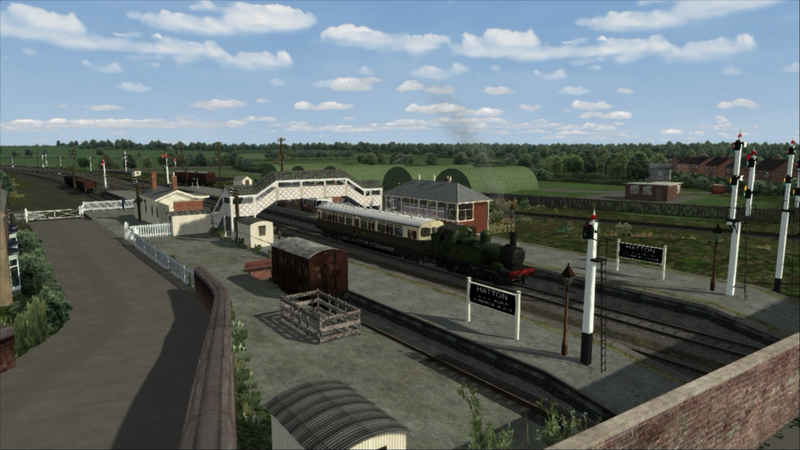 The route is, flexibly, set in 1947. 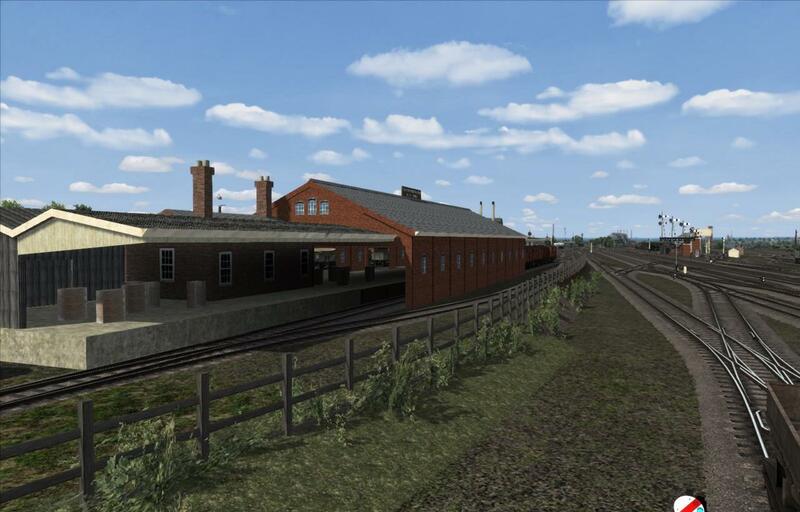 Leamington Goods Shed on the down side. 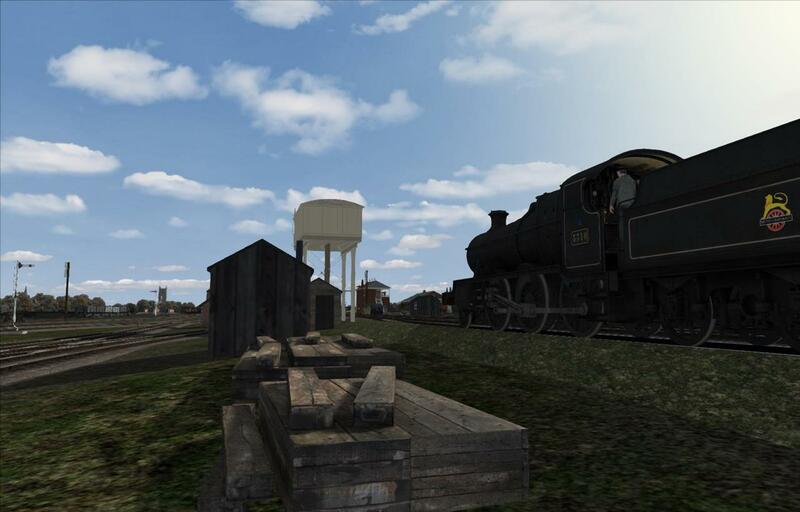 There was a company which repaired damaged wagons situated beside the yard. 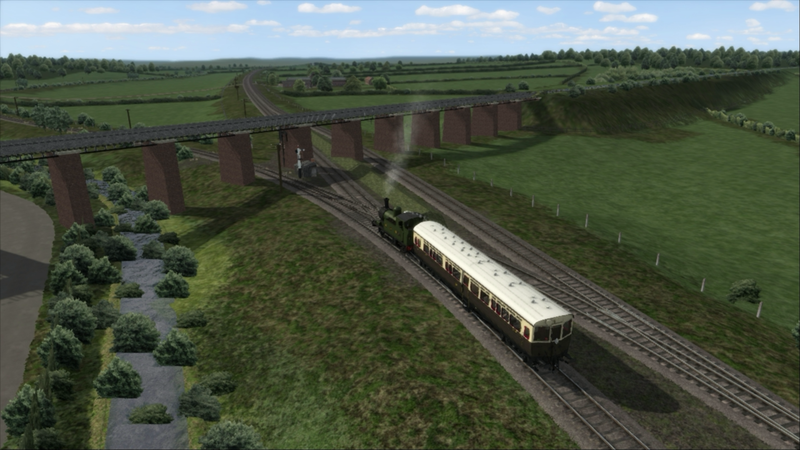 Most of the sidings were on the north or up side with GWR, LMS and exchange sidings. 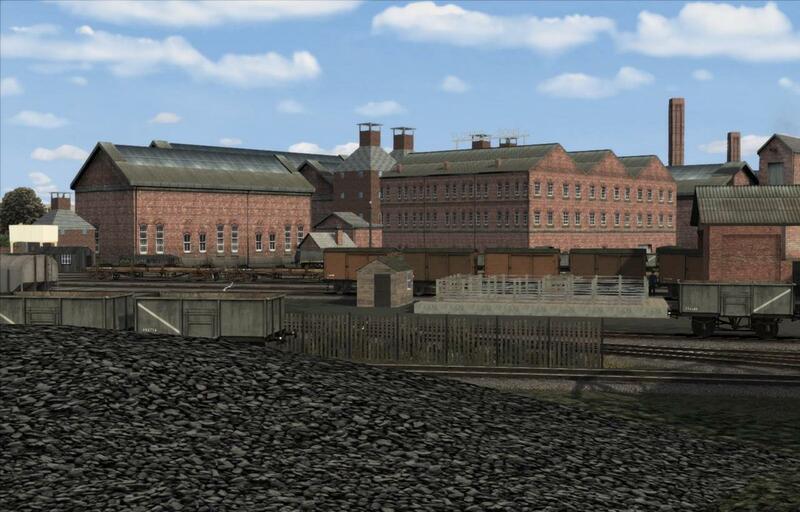 Private sidings served the Ford factory which made agricultural machinery. Formerly it was Flavels Imperial Stove Works. 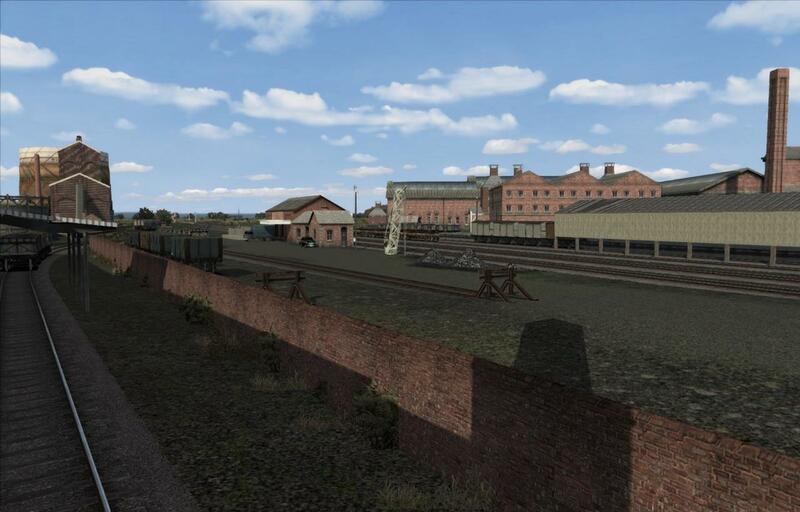 After Avon Bridge Power Station sidings came Warwick Goods yard then Warwick station which had a bay for the Hatton banker. Next was Cape Yard and Budbrooke Cold Store. The line climbs Hatton Bank close to the Grand Union Canal's flight of locks. 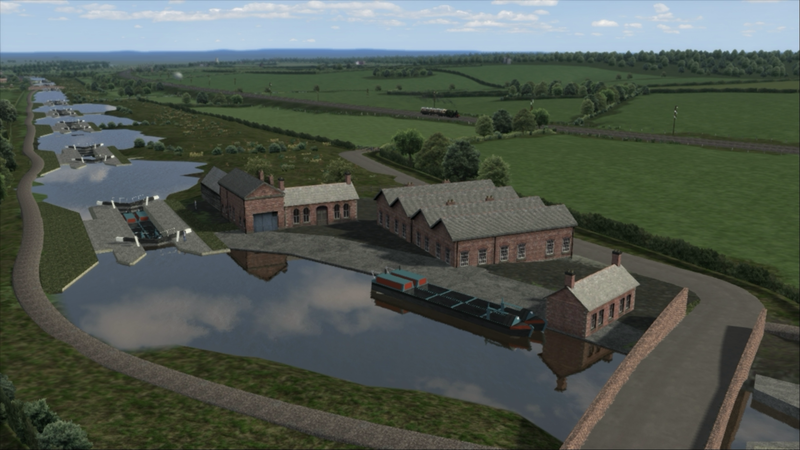 The locks were widened to take 2 narrow boats in the early 1930's. 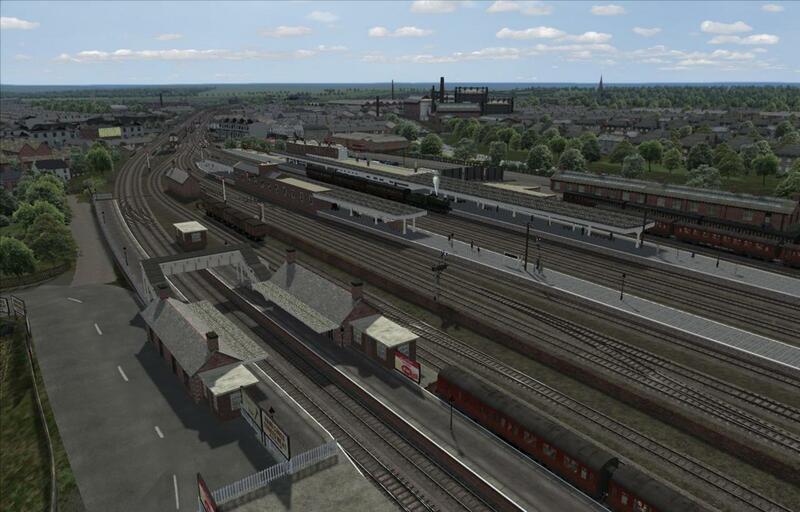 At the top of the Bank is Hatton Junction station which had a military stores beside. 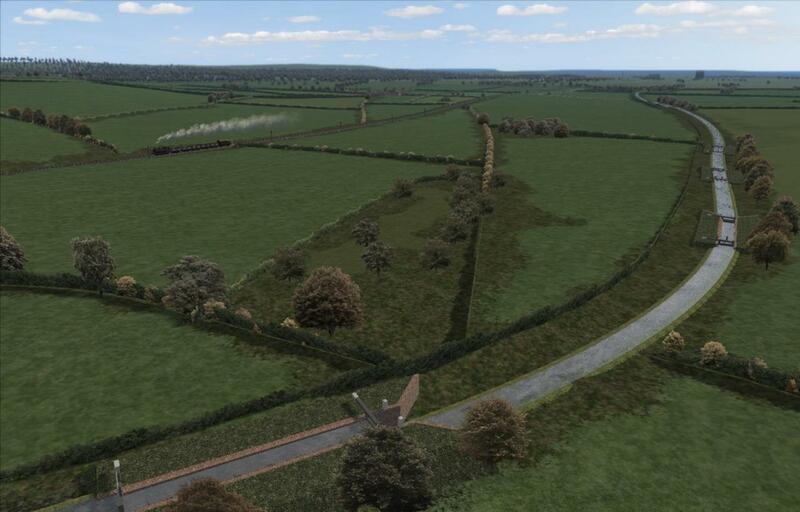 The main line continues towards Lapworth and the north. The branch goes to Stratford and went on to the south-west. Just south of Lapworth a short spur off the Grand Union Canal joined the GWR's Stratford Canal which at this time was almost unused. 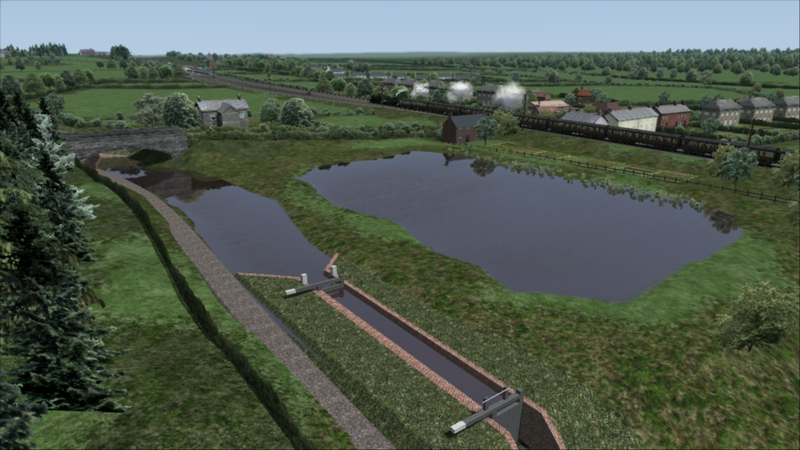 Lapworth Station is the northern end of this release. Claverdon. When the line was doubled a couple of the little stations were resited and the old platform used for goods. 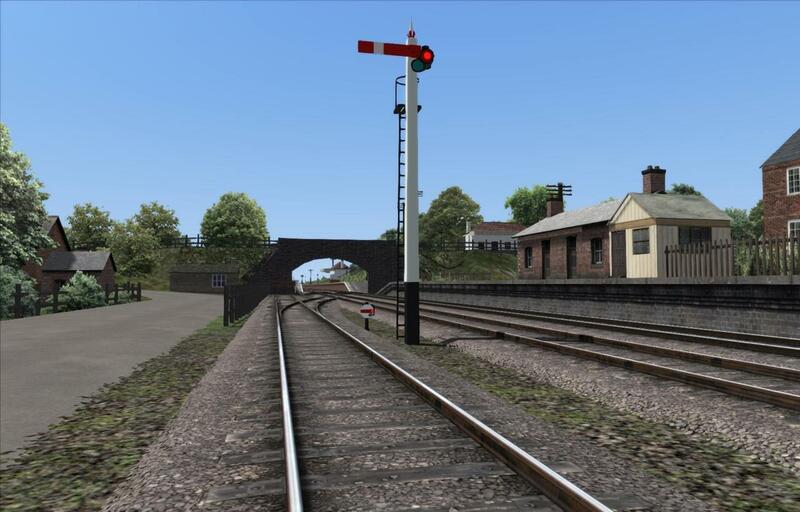 At Bearley there was a triangular junction which was sometimes used to turn Stratford locos. The northern line passes under Bearley Aquaduct as did the Alcester branch. In this route it extends as far as Wootton Wawen Platform. Flowers brewery had private sidings next to Stratford's goods yard as did the gas works. 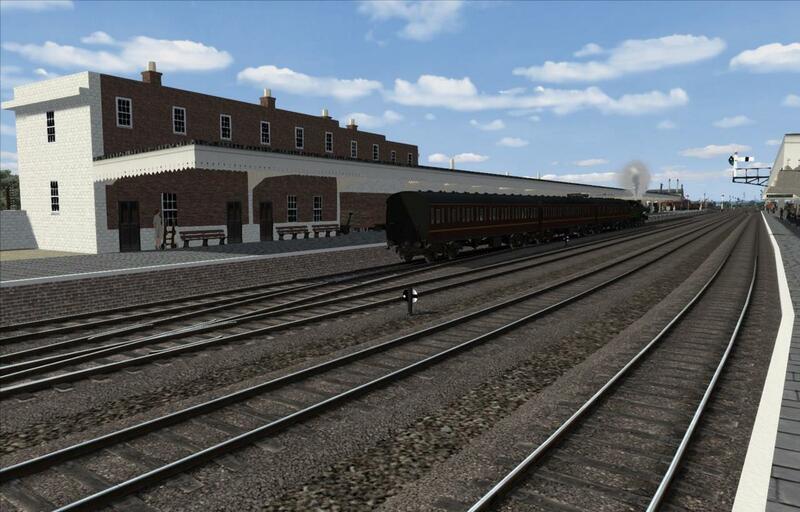 The wooden shed on the right was the former passenger station and was sometimes used as such for excursions. Usually it was for loading beer. 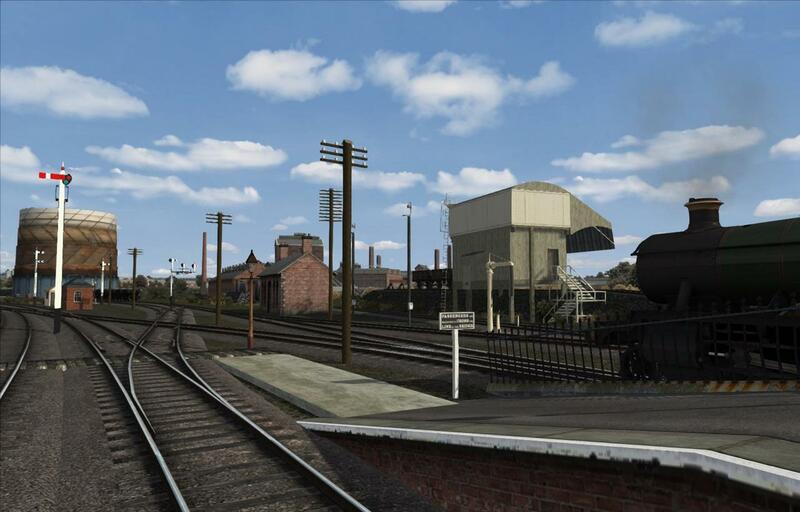 There was a 2 road engine shed and a coaling stage. 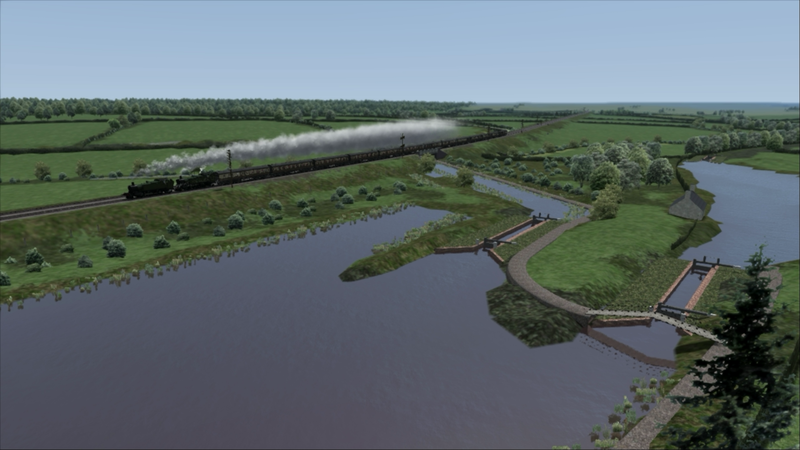 A loco was on duty to assist up the 1 in 75 Wilmcote Bank. A wartime Cold Store was built beside Stratford station. 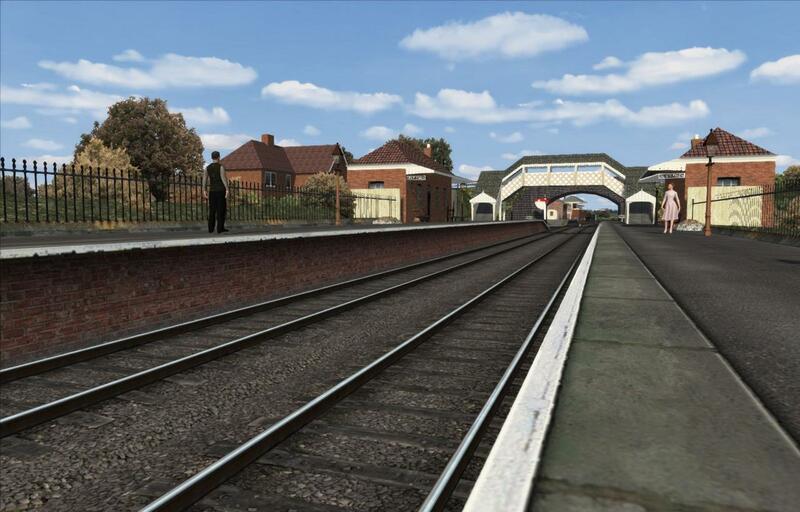 The scenery continues as far as Stratford Racecourse Platform. Videos made using included Quickdrives and scenarios. 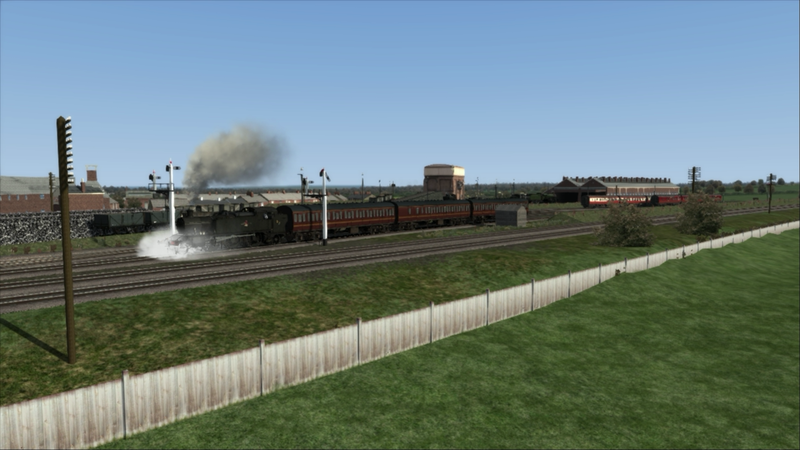 A WW2 workmans special from Leamington to Great Alne, which the GWR provided after a factory relocated there from Coventry. 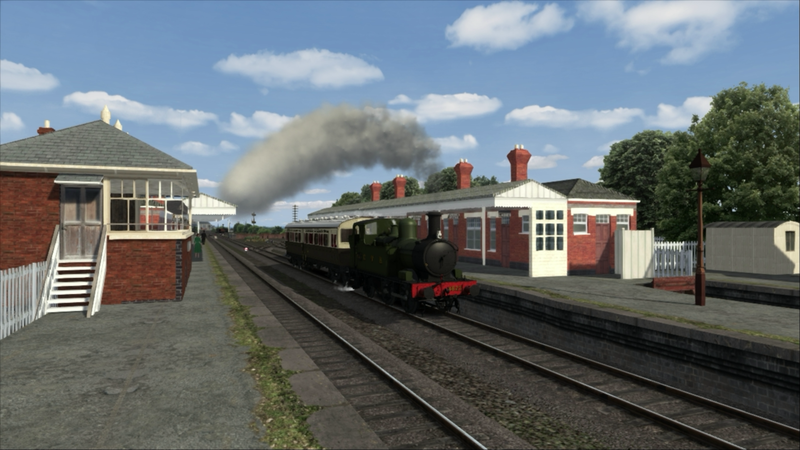 The Alcester branch is only lightly sceneried to provide a destination for this scenario.